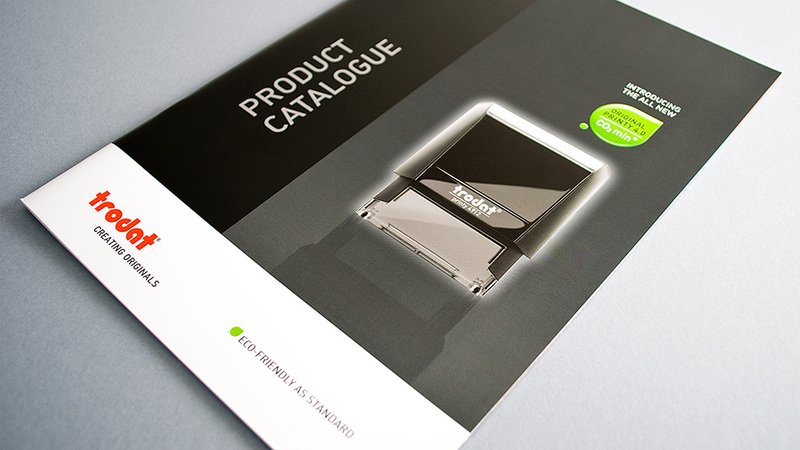 Inspired by Trodat’s innovative new products, we produced a distinctive and effective office catalogue design. We were asked to look at the company’s sales publication, produced annually to provide customers with a comprehensive and up-to-date list of our client’s offering. 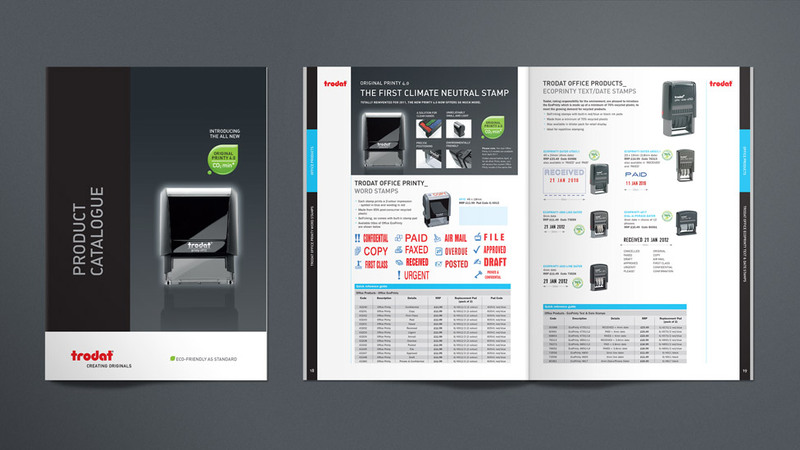 The office catalogue design had to feature a range of innovative climate-neutral products. 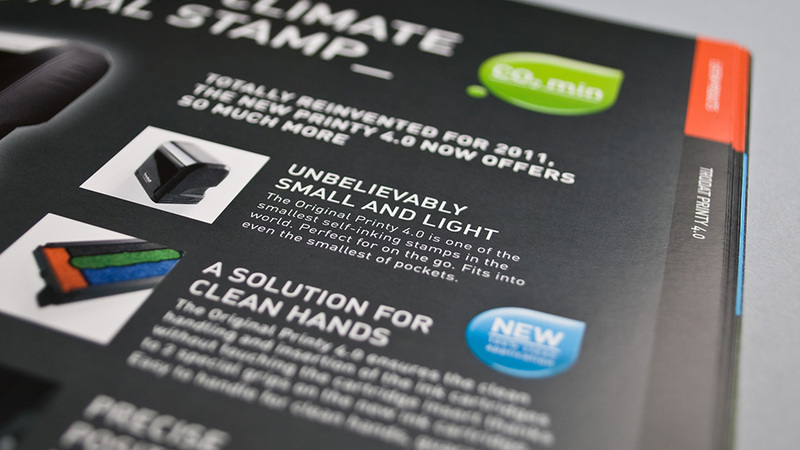 By devising smaller, lighter stamps made up of 65% recycled plastic, Trodat had given themselves an even more competitive edge, something that needed to be a point of focus throughout the catalogue. To achieve this we developed a green leaf icon to be used alongside product images. The colour and shape of the icon contrasts effectively with the red and black corporate colour scheme of the Trodat brand. 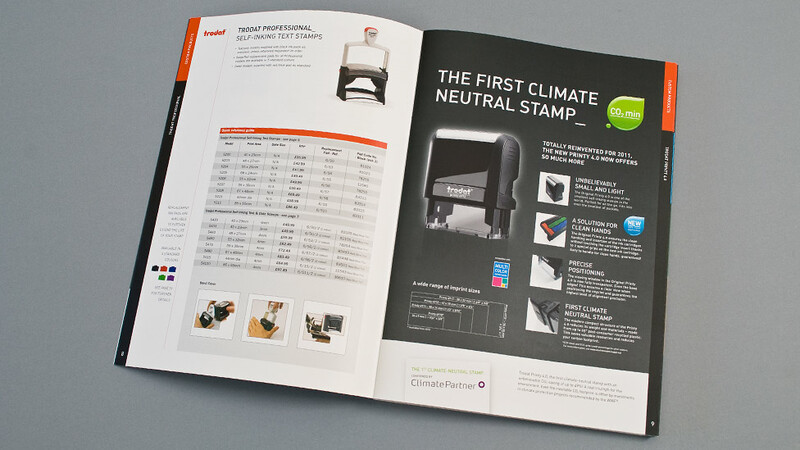 We also incorporated advert-style graphics dotted throughout the catalogue to highlight and promote the benefits of the new stamp. The supporting grid-based layout of the product photos and specification tables ensures a clear and legible office catalogue design. 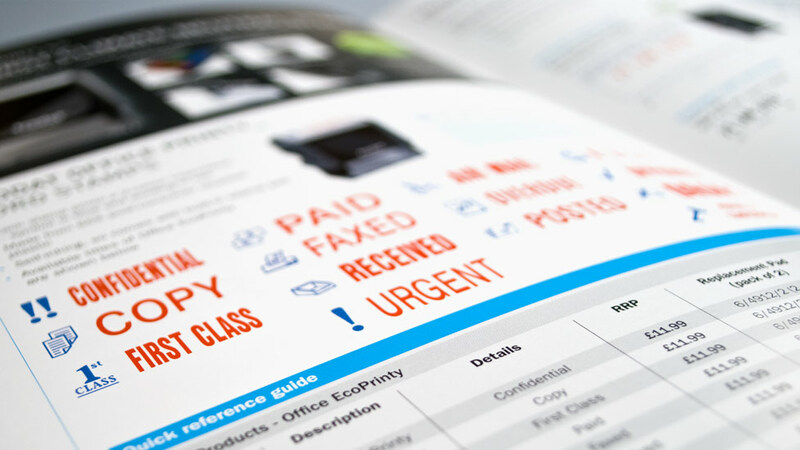 Included at the back of the catalogue are postable order forms for custom stamps, and a process walk-through graphic demonstrating how to order online. A black anti-scuff matte-laminate on the cover combined with the glossy effect of a Spot UV gives the office catalogue design a contemporary look.